For study commencing anytime in 2018, applications are now open and will close on 20 July 2017. This scholarship was established in April 1988 with financing from the Japanese government. The aim is to provide an opportunity for well-qualified citizens of ADB's developing member countries to undertake postgraduate studies in economics, management, science and technology, and other development-related fields at participating academic institutions in the Asia-Pacific region. Upon completion of their study programmes, scholars are expected to contribute to the economic and social development of their home countries. Airfare from the scholar's home country to Auckland, New Zealand. Airfare from Auckland, New Zealand, to the scholar's home country at the conclusion of his or her course of study. Note: The ADB-JSP does not cover dependents. Be a national of an ADB borrowing member. For a list of current developing member countries visit ADB - Japan Scholarship Programme. Staff of JSP-designated institutions can't apply to their own institution. Undergraduate studies, distance learning programmes, short-term training, conferences, seminars, thesis writing, and research projects. Applications have now closed for study commencing in 2017. 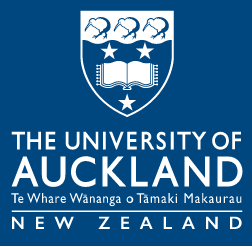 Step 3: If you are successful in gaining admission to a postgraduate programme and receive an official offer of place from the University of Auckland, you may proceed to Step 4. If you are unsuccessful or receive a conditional offer do not proceed to Step 4 until you have fulfilled the condition/s of your offer. Step 4: Complete the application form and either post or courier with all required documents to the University. Download this PDF file: ADB-Japan Scholarship Application Form 2017. Size: 205.1 kB.